The Department of Interior and Local Government (DILG) is set to file administrative charges against drug-linked village officials after government authorities obtained a list of the so-called “narco-politicians” at the barangay level. This was announced Wednesday by DILG Sec. 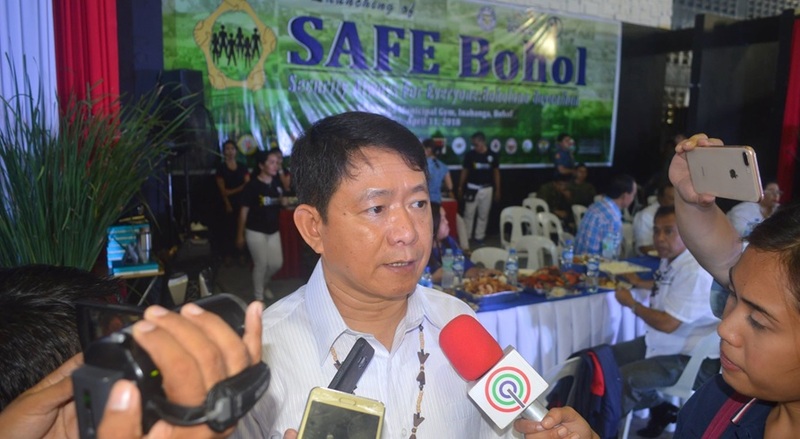 Eduardo Año during his short visit to Bohol to join the commemoration of the first anniversary of the clash between state security forces and Abu Sayyaf Group bandits in Inabanga town. The list is with the Philippine Drug Enforcement Agency (PDEA), said Año without elaborating on the number of drug-linked barangay officials in Bohol and the rest of the country. The list includes drug protectors, pushers and users based on information gathered by the PDEA, Año added. However, he noted that it will be up to the PDEA on when the agency will publicly announce the identities of the drug suspects. According to Año, the DILG will also be filing administrative cases against barangay captains who have not been active in the campaign against illegal drug trade through their respective Barangay Anti-drug Abuse Councils. Some of the charges will be filed even before the barangay and Sangguniang Kabataan (SK) elections in May, he said. Meanwhile, the DILG is also planning to subject barangay officials to random drug testing prior to the polls. “May time pa naman tayo through the help of DOH pwede tayong mag-conduct ng random drug test sa mga barangay captain para wag nang tumakbo at iboto yung mga drug user,” Año said. The barangay and SK elections will be held on May 14. Filing of certificates of candidacy is scheduled to commence on April 14 which will also mark the start of the election period.